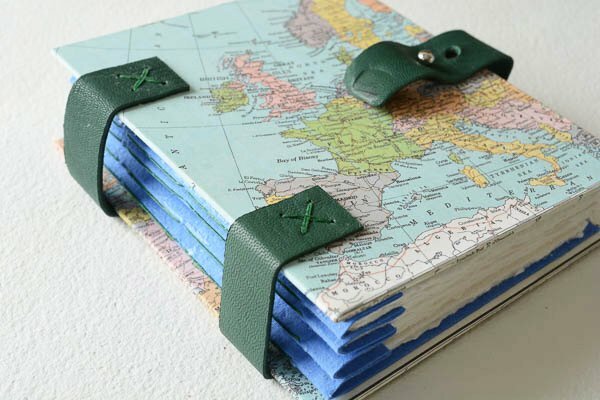 Book number 46 is a concertina binding and it’s a great choice for a travel journal because the spine expands if you add extra items to the pages, such as photos, tickets etc. 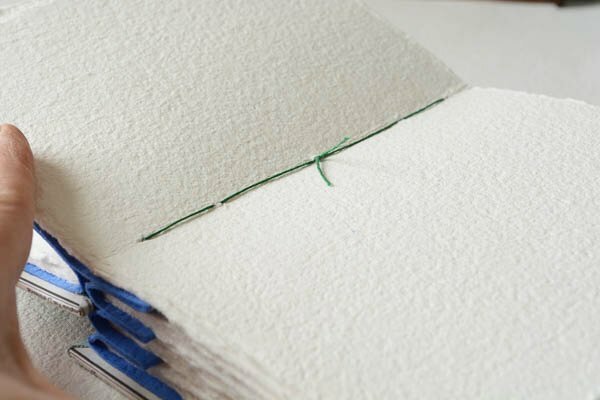 The concertina structure is achieved by creating a narrow accordion and then attaching signatures to either the valley or peak folds using a simple pamphlet stitch. In this case, I sewed the handmade paper signatures to the valley fold of the accordion using a 5-hole pamphlet stitch. Each one was attached individually. 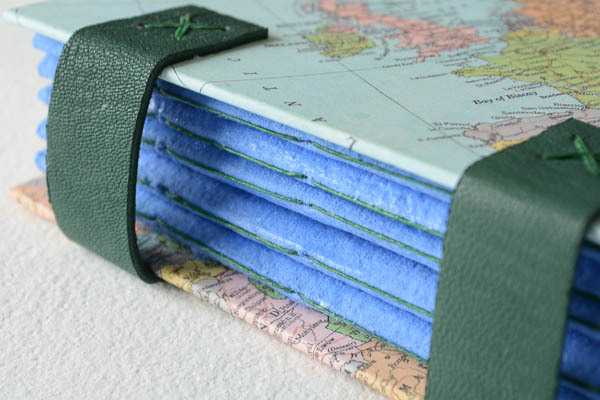 I attached two strips of leather strips to the covers to give the book some stability. Although this is a simple structure, it’s one of my favorites. 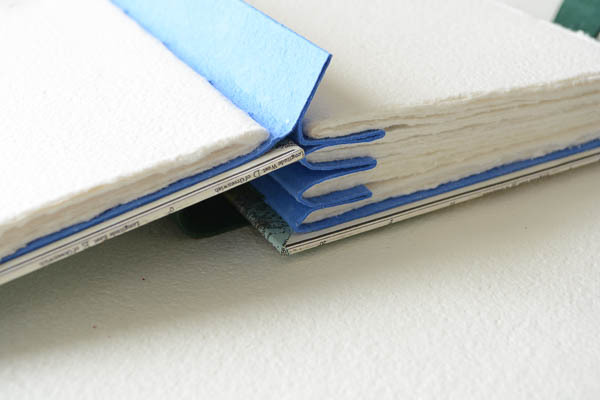 It feels very substantial and good to hold, and it’s also a very practical binding. If you have any questions, please leave a comment below. Adding the leather strips adds character as well as stability. GREAT idea! Love the book. What a wonderful idea, would work really well for dried flowers too.